Noomi Rapace stars in this indie thriller about a bodyguard protecting a teen heiress. 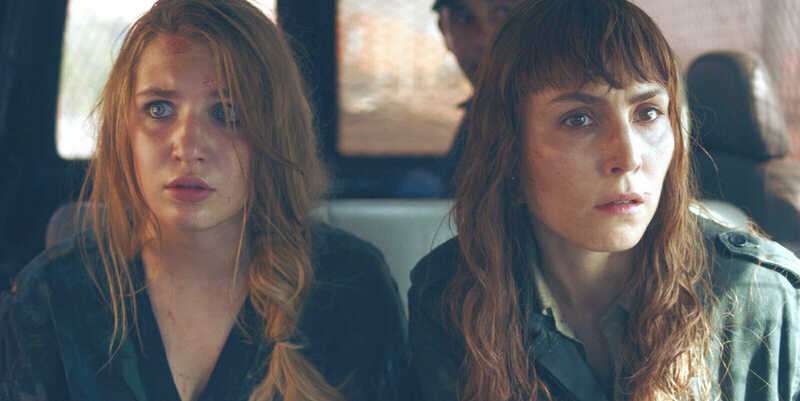 It’s refreshing to see a gritty action thriller with an all-female main cast, introduced with no fanfare and no particular desire to make a statement. Unfortunately, although the concept is appealing, Close is not especially thrilling to watch. Starring Noomi Rapace as a taciturn bodyguard to a sulky teen heiress, this Netflix thriller would benefit from more action sequences. Noomi Rapace plays Sam, a character inspired by celebrity bodyguard Jacqie Davis, whose real-life exploits could easily carry an entire franchise. Steely and competent, Sam is hired to protect sulky teen heiress Zoe (Sophie Nélisse) after she inherits her father’s business empire and becomes a tempting target for kidnappers. Close sees Sam accompany Zoe to a safe house in Morocco, living under guard while Zoe’s stepmother (Indira Varma) negotiates a massive business deal. Petulant and struggling with abandonment issues, Zoe isn’t enthusiastic about her new bodyguard. All three women are tense and standoffish, which makes sense in context but isn’t exactly a recipe for interesting viewing. Close avoids the obvious choice of playing Zoe and Sam against each other as an odd-couple duo, but sometimes this trope is popular for good reason. Characters only speak for exposition purposes or to share crucial pieces of emotional backstory, and this film would benefit either from more conflict between Zoe and Sam or just more humor. People crack jokes even at the most stressful and upsetting times, and while Close is more serious than corny, high-octane Hollywood thrillers like Mission Impossible, it needs something to balance out all the peril, grim silences, and conversations about corporate mergers. Fans of highly competent action heroes will definitely appreciate Sam. Tough and experienced, she gets plenty of chances to prove why Zoe needs a bodyguard, solving problems that would leave most civilians in a hopeless panic. Rapace is best known for playing the original Girl with the Dragon Tattoo, and this role is very much in her wheelhouse. It’s just too bad that Close doesn’t offer her more action sequences. With a long lead-up to the point where Sam’s skills truly come into play, there’s a moment where we expect Close to explode in a John Wick–esque flurry of pure action. It doesn’t. Instead, writer/director Vicky Jewson keeps dialing back to reframe the story as a drama, which doesn’t work because the dialogue and characters are too shallow. It’s easy to see why Close, out on Jan. 18 on Netflix, didn’t get a cinematic release. It’s satisfying enough for rainy afternoon viewing, but it doesn’t measure up to the fast-paced action of more mainstream thrillers.